Is he going to play it or hit some-one with it? Looks like he means business to me! That'll be some tennis match. 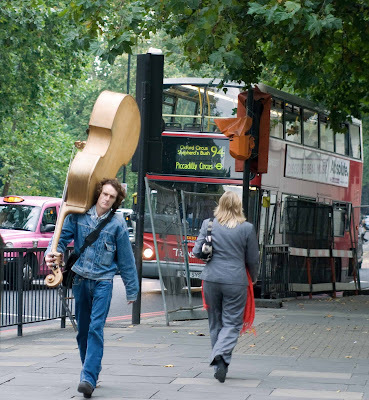 Assault with a deadly cello. Would that be music to your ears! Excellent catch. Babooshka beat "Louis" to it! Exactly what he was thinking!